This article explains the problem of a BarTender label integration, setup with Integration Builder, that will not consistently print a label design. Data passed to the BarTender Integration may not be compatible with the elements of the label design. When that happens, BarTender will not print the label and indicate an error. One situation that can cause this is trying to pass values into a barcode that violate the rules of the barcode symbology. 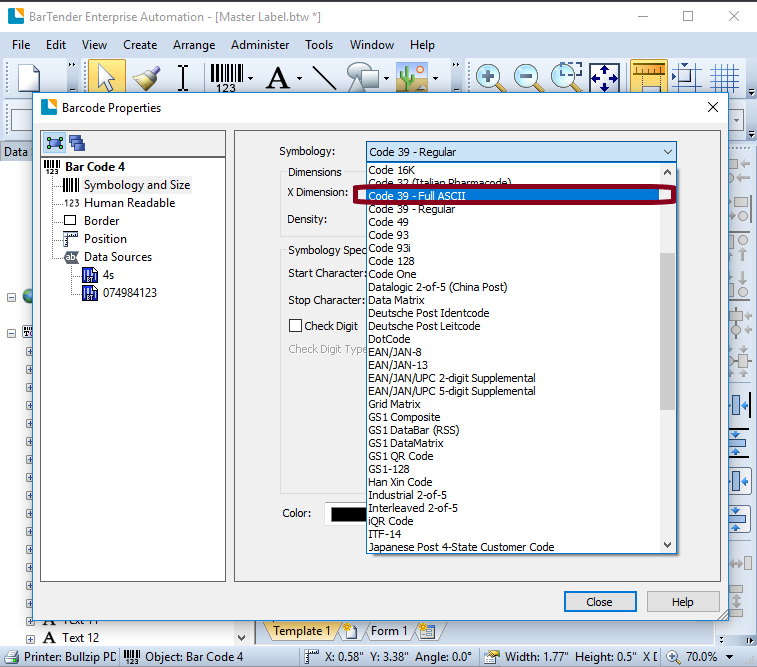 In the situation that prompted the writing of this article, a value that include lowercase alpha characters were inserted into the Code 39 (Regular) barcode field. Since Code 39 (Regular) only supports uppercase alpha characters, the BarTender Integration failed it. 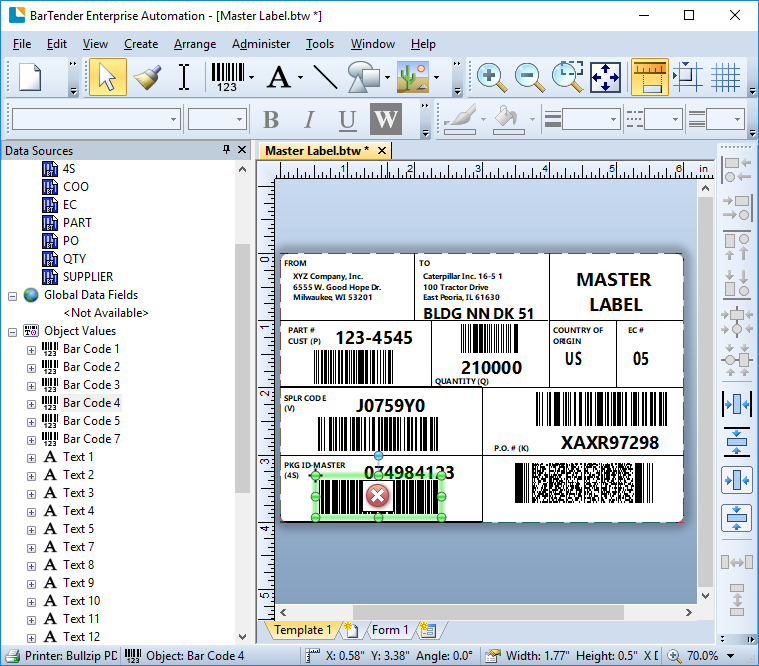 Below is a screen shot of a BarTender label, using a Code 39 Regular barcode (bottom left of the label), that has an invalid value entered. There are likely many other conditions that can cause a BarTender integration to fail. I encourage users of these articles to report these other issues and problems so the writers and editors can add these scenarios to this article.